Why Is It Called “Biological” Dentistry Anyway? You often hear “holistic dentistry,” “integrative dentistry” and “biological dentistry” used interchangeably. They’re not actually the same thing. Biological dentistry is holistic and integrative, but in and of themselves, neither holistic nor integrated is biological. For the why, you have to go back to when the term was originally coined – back in the mid-1980s. And it starts with the professional development of Dr. Verigin and his late colleague Dr. Ed Arana. This meeting featured Dr. Reinhold Voll demonstrating his groundbreaking method of electroacupuncture, and this inspired the two dentists to learn more about it. 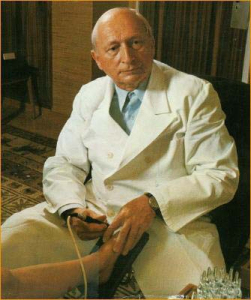 They next enrolled in a series on the Fundamentals of Electroacupuncture According to Voll (EAV), taught by German naturopath Andreas Marx and designed by Walter Sturm, founder of the Occidental Institute, the key North American organization devoted to the study and practice of German Biological Medicine. Properly understood, German Biological Medicine is rooted in the work of Hans Heinrich Reckeweg, the Father of Homotoxicology. In the mid-20th century, Reckeweg showed how illness is progressive. He demonstrated that any illness develops predictably across six stages. He also showed that the process can be reversed. Homeopathic treatment, better nutrition and other measures can open the channels of elimination. This helps the body to detoxify and the terrain to return to a state of health. Unlike conventional Western medicine, German Biological Medicine is not “disease treatment” but a method of stimulating the body’s own self-regulating abilities, its innate ability to heal. This is what Dr. Verigin and Dr. Arana wanted to know more about: How to apply these principles in the practice of dentistry. They began to talk about ways of bringing the leading German researchers over to the states to teach them. They talked about building a network of other dentists interested in this same approach. 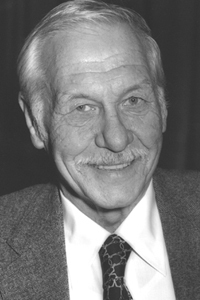 Walter Sturm provided critical help in planning the organization they dreamed of. He encouraged the two dentists. He suggested the best dental researchers to bring over and which German Medicine journals they should subscribe to once they had secured a good translator. And he suggested that since what they were doing was a parallel of German Biological Medicine, why not call it “biological dentistry”? All agreed that the name made sense. And shortly thereafter, the American Academy of Biological Dentistry was born. The organization continues today as the International Academy of Biological Dentistry and Medicine. So by definition, biological dentistry follows the philosophy and approach of German Biological Medicine in dealing with any particular dental barriers to optimal health. Dental situations are viewed in the context of a person’s total toxic burden. The state of the patient’s biological terrain must be addressed. After all, the terrain – the extracellular matrix – is what guides the body’s self-regulating abilities. If the terrain is ignored, long-term healing after amalgam removal, root canal extraction or cavitation clean-out will happen only by sheer luck. The terrain, as they say, is everything. And nurturing its health is key to biological medicine and dentistry.